December – GMC CEO, Prem Goyal, was invited to the Spirit of London Awards (SOLA) reception at 10 Downing Street ahead of the 4th edition of the awards on 10th December at the O2. Speaking to around 100 people, including award nominees, past winners, sponsors, community champions and artists, David Cameron, the Prime Minister, thanked the sponsors, volunteers and celebrities who were performing for free on the day. December – Volunteers from GMC helped at the People Care Association Christmas Day party. For over 70 years the association has helped isolated elderly and disabled people in Southwark enjoy a proper Christmas in warm company. This year was no different with 275 guests tucking into a traditional Christmas dinner at Bacon’s College in Rotherhithe. Seventy-five volunteers made it all possible. November – GMC is sponsoring Sovann Sous GBP 100 to grow a moustache for Movember. Sovann is growing his tash “to raise awareness of prostate cancer and cancer in general. To show support for my father-in-law and all the other members of my family affected by cancer”. 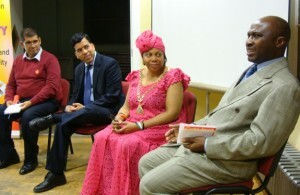 October – GMC sponsored and helped organise a Black History Month event in Southwark on 18th October. 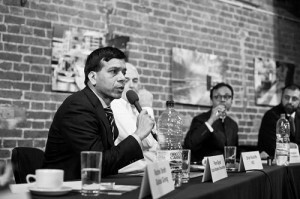 Participating in the immigration panel discussion, GMC CEO, Prem Goyal, said that he got around his initial difficulties of integrating in the UK by involving myself in community activities. Also, that he found the overwhelming majority of British people friendly and welcoming. The evening, attended by 75 guests, saw a fantastic African fashion show and enjoyed wonderful Indian and Caribbean food. October – GMC’s Prem Goyal was invited as a Patron of the Basic Business Initiative to present the Young Entrepreneur Award at the 2012 BBI Awards. Prem presented the award to winner Seyi Sobodu in front of about 200 guests. 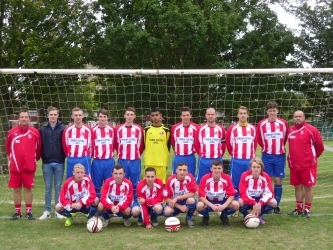 September – GMC is proud to sponsor Walsingham Town FC. The team, based near Orpington in South East London, play in OBDSFL Division 5 and we wish them every success this season. September – GMC’s CEO, Prem Goyal, helped out at a Job and Apprentices Fair at West Ham football stadium on 14th September organised by Member of Parliament for Newham North East, Stephen Timms MP. Prem conducted one-on-one sessions to give advice on people’s CVs, interview technique and career direction. September – GMC’s Prem Goyal took 8 year old Cameron O’Connor and his family to the Paralympics Athletics on 8th September. The events on the track and field were fantastic and everyone had a great day. Earlier in the year Cameron, a double amputee, walked 3 miles on crutches from his home in Bermondsey to Millwall football ground to raise money for a new wheelchair. GMC donated GBP 1,000. August – GMC is sponsoring Barbara Douglas and Jill Hunt (supported by Steve Lancashire) GBP 100 to walk 190 miles of the Pembroke Coast Path for Tiny Lives, a charity that supports the Special Care Baby Unit at the Royal Victoria Infirmary in Newcastle upon Tyne. August – GMC sponsored Luke Oliver GBP 100 to run the New York Marathon in support of Achilles International – a charity that helps people with all types of disabilities to participate in athletics. August – Prem welcomed the Olympic Torch as it entered the Borough of Southwark from across the Millennium Bridge. He was joining the Mayor of Southwark, Cllr Althea Smith, and the Bishop of Southwark, Christopher Chessun in front of a sea of excited onlookers to greet the Torch on its route to the Olympic Park. 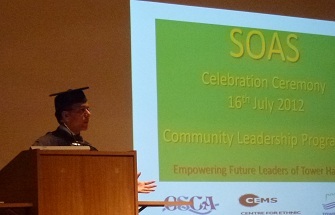 July – Prem delivered a speech to young people graduating from the SOAS University Community Leadership Programme 2012. 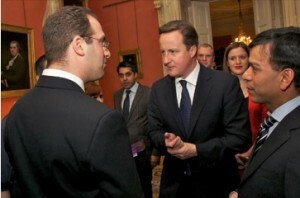 He spoke about overcoming challenges and how young community leaders have a role to play in uplifting their communities. You can read the speech in full here. June – Prem sponsored a special dinner for the trustees and staff of the Attlee Foundation to celebrate the good work Attlee are doing to help disadvantaged people in East London. June – GMC sponsored the under 9 and under 10 competitions at the 2012 Spartak 78 football tournament near Saffron Walden. Two thousand spectators were on hand to witness 50 teams battle it out across 5 age groups. 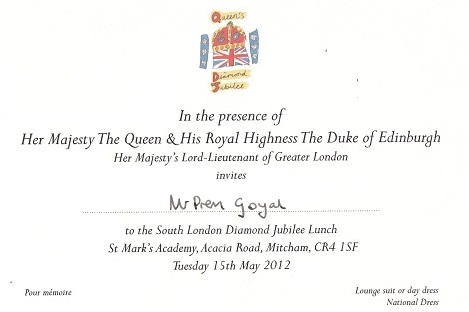 May – GMC CEO, Prem Goyal, was invited for a lunch with Her Majesty the Queen at St Mark’s Academy in Mitcham as part of her Diamond Jubilee celebrations. He was chosen with six other community champions to be sat on the Top Table. 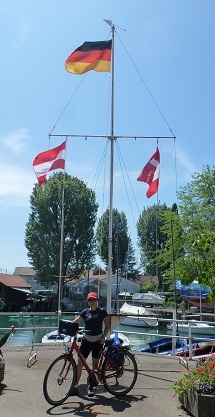 May – Catherine and Prem cycled 250km around Lake Constance in Switzerland to raise GBP 250 for Bede House – a community organisation in Southwark. The challenge was made more difficult by wet and windy weather for much of the ride. Catherine said, “At times we found the going very difficult, but it was definitely worth it to raise money for Bede House and support the outstanding work they are doing for our community”. 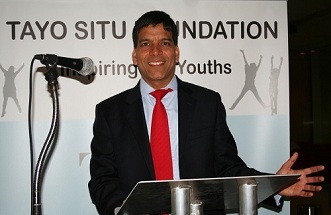 May – Prem was the keynote speaker at the Tayo Situ Foundation Awards on 11th May, giving a 20 minute address to the predominantly young audience which also included many community and political leaders. In the speech Prem shared his ‘Three Secrets of Sucess: ‘earn, learn and save’, ‘make yourself a celebrity – not others’ and ‘acquire a global profile’. You can read the full speech here. 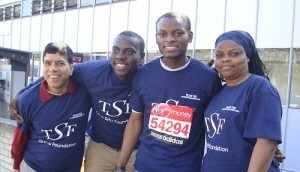 April – GMC is sponsoring Councillor Michael Situ GBP 250 to run the London Marathon to raise money for the Tayo Situ Foundation, the charity set-up in the name of his late father. Tayo Situ was the Mayor of Southwark before he lost his battle with cancer in 2011. 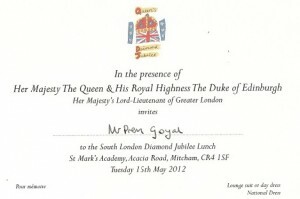 The foundation has since been set-up in his name to foster leadership amongst young people in Southwark. April – GMC celebrated its 10th Anniversary with a reception at a stunning location over looking Tower Bridge. 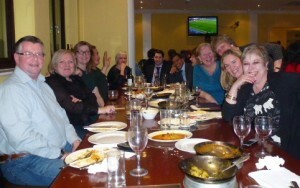 Employees and consultants past and present mingled with friends and people from other walks of life, such as young people under Prem’s mentorship from the Uprising programme. The evening wasn’t only about reflecting on 10 successful years of GMC. It was also a chance to look forward to many more prosperous years ahead! 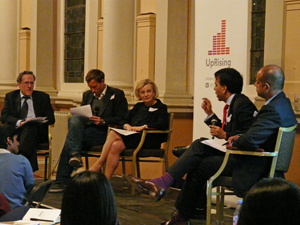 April – GMC sponsored a panel discussion at Shoreditch Town Hall for Uprising, a leadership programme for talented young people, incorporating many diverse backgrounds, for which Prem is an ambassador. Prem was a speaker on the panel contributing his expertise. Joining Prem was The Times Associate Editor, David Wighton, and the CEOs of Royal Mail, NEC Group and Spoonfield and Bullseyehub. Prem spoke about the need for young people to build a strong global profile, urging them to step out of their comfort zone by working, studying or volunteering abroad. And not only that, but living globally in London too, where many different cultures, cuisines and international festivals are easily accessible. Rushanara Ali MP wrapped up the session by thanking Prem and the other speakers, and also GMC for sponsoring the event. 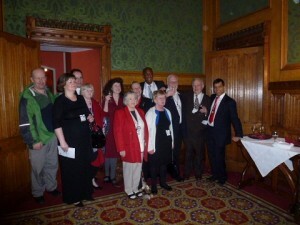 March – Prem participated in a panel debate for the Diaspora Volunteer Alliance (DVA) on Voluntary Sector fundraising. On the panel was Lftakhar Latif (Chair of DVA), Howard Lake (Director of Fundraising UK Ltd), Rachel Smith (Head of Programme, Global Giving), Brian Rockcliff (Director, VSO UK) and Vijay Krishnarayan (Deputy Director, Commonwealth Foundation). Prem spoke to the crowd of over 100 people and made the case for better relationships between the third sector and the corporate world as part of a strong fundraising strategy. He went on to say that corporate fundraising is alive and kicking and still the best avenue for charity fundraising. Sandra Kabir, Trustee and Treasurer for DVA said, “I cannot thank you enough for your brilliant presentation at the DVA Annual Conference. You set the tone for the rest of the day that was a great success”. March – Prem sponsored and organised a special dinner for the staff and trustees of Time and Talents, one of the charities for which Prem is a trustee, at the famous Lahore Restaurant in Whitechapel. 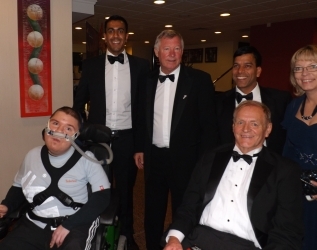 Prem said, “We deserved a fun evening like this to build team spirit and as a treat for all the good work we are doing to empower people and make a difference in the community”. It was a thoroughly enjoyable occasion and Chair of the board, Dr Catherine Otty, thanked Prem by saying,”the staff seemed to really enjoy the evening and there was plenty of mixing between staff and employees so I think it certainly fulfilled expectations. It was very generous of you and much appreciated“. March – Prem and James were invited to a reception at the House of Lords to recognise volunteers who helped raise money for charity at the London New Year Parade. Prem was presented with a medal by the Mayor of Southwark and Lord Kennedy for leading a team of volunteers on Southwark’s float, which GMC had sponsored. Prem said ‘Even though it was raining all day, it was worth it to raise money for such an important cause as the Mayor’s Common Good Trust, and all we had such a great time working together we barely noticed anyway!”. February – GMC donated GBP 1,000 towards the fund to buy a new wheelchair for Cameron O’Connor, a brave 8 year old boy from Southwark, who lost his leg to meningitis. February – On 1st March, Catherine will take part in Vertical Rush, London’s biggest ‘tower running’ event. Competitors must race up all 920 steps of Tower 42, a huge skyscraper in the City of London. Catherine is running in aide of Shelter, a homelessness charity that provides free advice on housing problems and campaigns to improve the lives of homeless and poorly housed people. 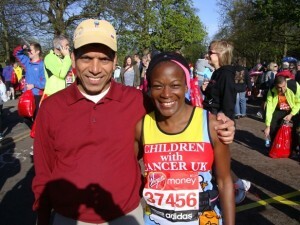 GMC has sponsored Catherine GBP 100 to take part in the event. February – GMC is sponsoring Mary Foulkes GBP 200 to run the London Marathon for Children with Cancer UK, a leading national charity dedicated to the fight against childhood cancer and leukaemia. Mary has committed to running an average of 20 miles a week in order to prepare her for the gruelling 26-mile race in April. January – GMC donated GBP 500 to the Tayo Situ Foundation as Catherine successfully reached a dizzying height of 5681m after scaling Mt. Kilimanjaro. Tayo Situ was the Mayor of Southwark before his untimely death in 2011. The foundation was set-up in his memory to foster achievement and opportunity for young people in the community. It took Catherine four and a half days to reach the summit after climbing for 7 hours every day, mostly in wet, rainy conditions. We congratulate Cat on her achievement and look forward to her next adventure! 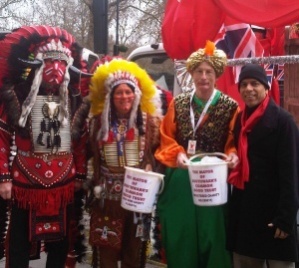 January – Prem represented GMC at the London New Year Parade, where GMC sponsored the Southwark float for GBP 1000. Half a million people turned out to watch 8000 performers as they marched, waved and danced the 2.2 mile route from Piccadilly Circus to Big Ben. January – Prem, Catherine, Nitin and Bernice volunteered their time over the festive period to help The People Care Association put on a special Christmas day celebration for isolated elderly people in Southwark. The event at Bacons College brought festive cheer to over 350 people who otherwise would experience a lonely Christmas. Guests were treated to door-to-door transport, traditional Christmas dinner, entertainment and bingo. GMC also donated GBP 400 towards the cost of the event.